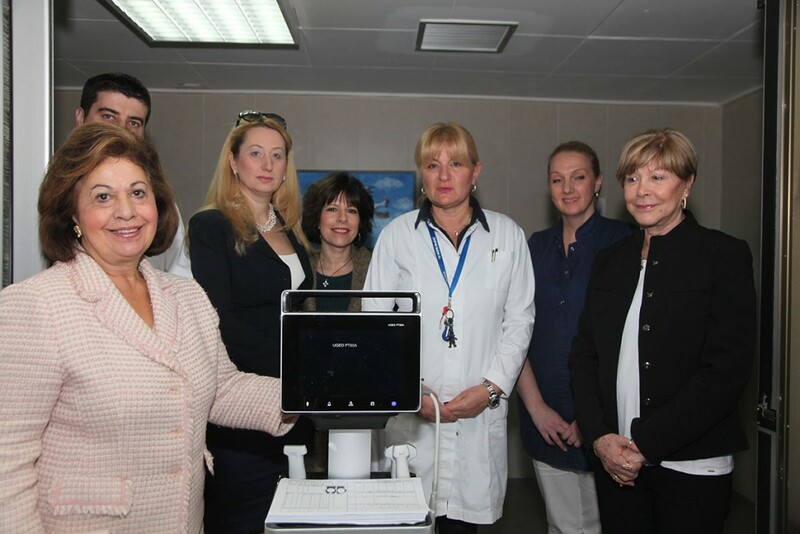 Her Royal Highness Crown Princess Katherine, accompanied by Mrs. Kathy Fanslow, President of the Lifeline Chicago Humanitarian Organization and her daughter Ms. Tracy Armstrong, donated an ultrasound machine and hospital beds to the Gynaecology and Obstetrics Clinic “Narodni Front” in Belgrade. The ultrasound machine, worth $20,000, was donated by Lifeline New York Humanitarian Organization, whose patron is Crown Princess Katherine. Hospital beds worth $7,500 were donated by Lifeline Chicago Humanitarian Organisation and Lifeline Canada Humanitarian Organisation, whose patron is Crown Princess Katherine. Her Royal Highness Crown Princess Katherine thanked her friends and associates from Lifeline Chicago, Lifeline Canada and Lifeline New York Humanitarian Organizations, pointing out that by their own example they prove to everyone and invite everyone not to forget that we have only one homeland, and that we have no right to forget it even when are far away. Crown Princess Katherine Foundations have helped the GOC “Narodni Front” on several occasions in past and will continue to do so in the future.